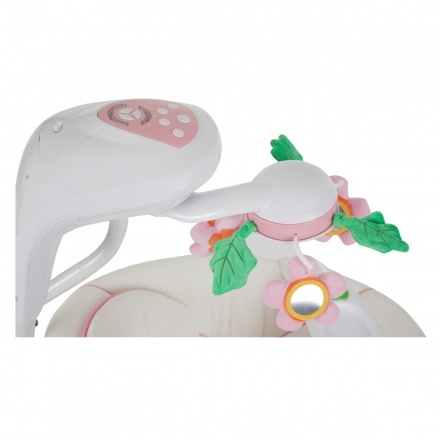 Juniors Electric Baby Swing | Pink | It has a removable tray. 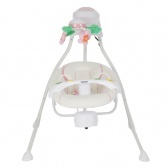 Keep your little safely harnessed in this practical electric baby swing. It features a cushioned design that will lend immense comfort to your little one. Feature 1 : It has a removable tray. Feature 2 : It features interactive toys to develop children's skills.